Essential plug-ins are tools that give you confidence in your abilities and the music you and produce. It’s so important to use plug-ins that you know inside out, regardless of whether they are stock DAW plug-ins or third-party. In this article I look at the plug-ins that I consider to be more than just my go-to tools, these are my plug-in essentials. We take a look at the new Gates Bundle for Virtual Mix Rack from Slate Digital. In the video we first test the Drums gate on Kick drum, Snare and Toms, before trying the Classic gate on a Vocal track. Eventide has released Instant Flanger Mk ll, a free update to registered owners of Eventide’s Anthology X or Anthology Xl software bundles. Instant Flanger Mk ll emulates to iconic sounds of the original 1975 Eventide Clockworks Instant Flanger hardware unit. We try it on an electric guitar part to see how well it stands up to the original hardware it is based on. GetGoodDrums is an impressive new company. Their purpose built Smash and Grab drum compressor brings a surprisingly fresh, intuitive, and musical plug-in to the table in an already extremely crowded market. In this video, you’ll see and hear how it works on more nuanced and complex drum parts; that use grace notes, dynamics, fills, rolls, and more. Dear Reality, the makers of dearVR ambisonics and immersive audio software, have just released AMBI MICRO, a free plug-in which converts ambisonics A-format to B-format and binaural audio with the added twist of supporting head tracking with a VR headset. dearVR have produced this free plug-in in cooperation with Sennheiser meaning it has a A to B-format convertor optimised for their AMBEO VR microphone. Any modern pop or rock track needs a good solid foundation. In this case we have a combination of real acoustic and programmed drums to give the song “Thought of love” by the Rooftop Renegades a good solid groove. Paul Drew of Production Expert, with the support of Universal Audio, shows how by using only Universal Audio UAD-2 plug-ins, he mixes the acoustic drums with some of the programmed percussion to give the track a driving feel. With the primary tracking and recording finished, Paul Drew of Production Expert starts to mix the song “Thought of love” by the Rooftop Renegades. Paul shows how, exclusively using Universal Audio UAD-2 plug-in he is able to turn a well recorded vocal into a top line part that sits well in the track but allows the lyric to shine through. In this free video tutorial we show you just how quick and easy it is to shape up a mix using just Softube’s Tube-Tech Mk II channel strip plug-in that we feel could quite possibly be the best analog sounding EQ compressor combo around. 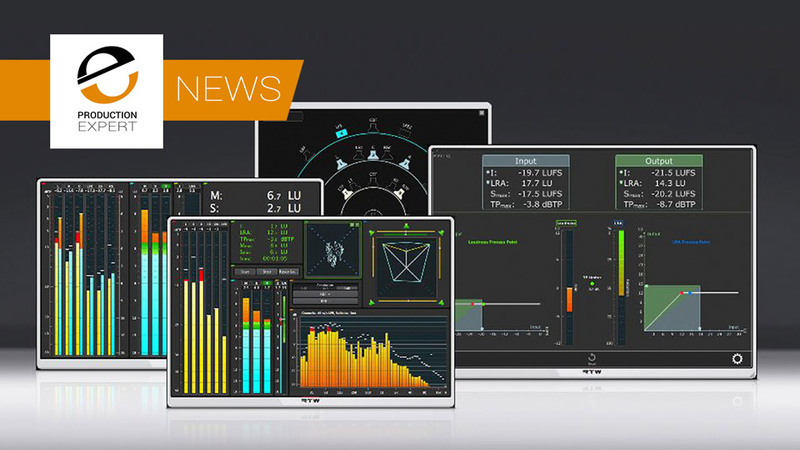 The Telos Alliance TV Solutions Group has introduced AudioTools Voice, which they describe as “a brand-new enhancement tool that addresses television viewers long-standing and ongoing struggle to clearly hear and understand program dialogue”. Recabinet was Kazrog’s first ever product and was released in 2009, how time flies. Ten years on and Kazrog has developed a new Recabinet – Remastered update of the original Recabinet speaker cabinet IR library. When this library launched, it was the first commercial library of speaker cabinet impulse responses, and by far the largest collection in existence at the time, now the IRs are in higher res and sound better than ever! With 3D immersive audio continuing to make its way into productions globally, Sennheiser and its partner Dear Reality are showcasing a full scene-based end-to-end workflow for VR and 360° video productions at NAMM 2019 with the announcement of a new dearVR AMBI MICRO VST/AAX plug-in for DAWs, developed in cooperation with Sennheiser’s AMBEO team.